This cake it is as simple as it looks! 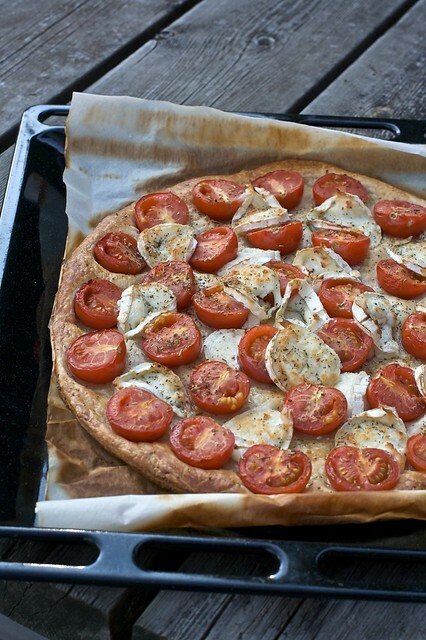 A layer of puff pastry, halved cherry tomatoes, slices of aged goat cheese (in this case a young Saint-Maure) few pinches of Herbs de Provence. Pop it in the oven, bake it for 25-30 minutes and voilà: done!